PARTIDA  its about a 5-hour sail to one of the anchorages on Partida island that you really liked, or to one of the anchorages that you missed. ESPIRITU SANTO or FALSO  sail to one of the anchorages on Espiritu Santo island and day anchor before going to the Baja to anchor for the night at Falso. Or spend another day at the anchorage where you were the night before. Kayak, swim, play on the beach, fish, snorkel, or go for a climb in the mountains. SATURDAY, DAY 14  Unfortunately your last day has arrived. LA PAZ  leave your last anchorage early enough so that you arrive at the dock by 1:00 p.m., and have a great sail to La Paz! 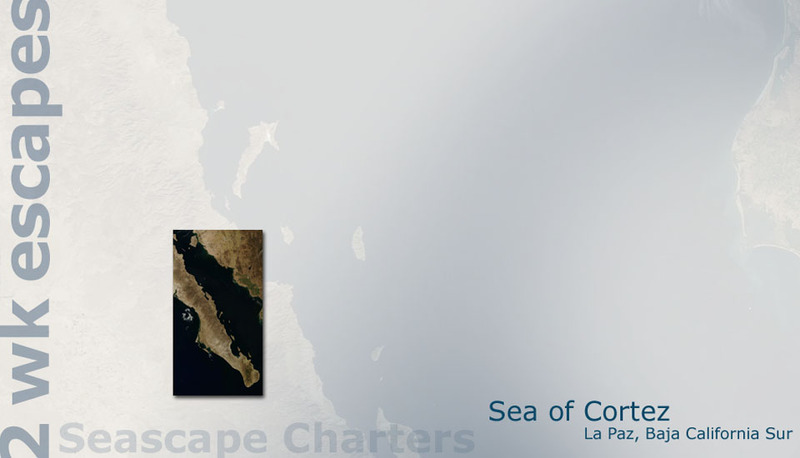 WE WISH YOU MANY FOND MEMORIES OF SEASCAPE, THE SEA OF CORTEZ, BAJA, LA PAZ, MEXICO AND HER PEOPLE. WE WANT EVERYONE TO ENJOY IT THE WAY WE DO. ITS A FEELING THAT CONTINUES TO GROW FOR ALL AND ONE WHICH WE HOPE YOU WILL SHARE WITH OTHERS BY ALLOWING US TO POST YOUR PHOTOS TO OUR WEBSITE!